Is LinkedIn the best platform for blogging? B2B, B2C… What About B2T? Capturing the interest of consumers online is packed with challenges, and B2B marketing is a whole different ballgame. Operating in such a saturated and competitive industry, recruitment agencies must have a strong B2B marketing strategy in order to. We are extremely proud of how far we have come and our achievements in both the top HR software vendor and blogging categories, and now we get to rejoice taking home a silver award from the Blog Awards Ireland 2018 for our blogging efforts in the B2B sector! Blog CakeHR – Best B2B Blog! How Employer Brand Becomes the Consumer Brand for B2B Companies. GE was founded 125 years ago by Thomas Edison and currently has over 300,000 employees, hiring roughly 80,000 people every year. 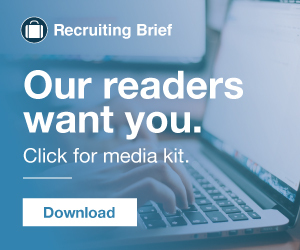 Employer Branding b2b marketing Brand Content Marketing Marketing Podcast SalesforceGlassdoor’s own Alicia Garibaldi joined Salesforce’s Marketing Cloudcast this week to discuss how employers can use content marketing to attract top talent. 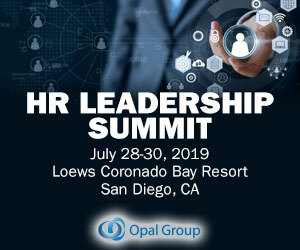 Interesting b2b blockchain crypto guest post hr human resources infographicSince being invented ten years ago, blockchain technology has defied the odds and became more than a gimmick. Blockchain allows transactions to be made across a secure and anonymous P2P network. Hiring Success B2B conference highlights hiring success 18 hiring success conference networking recruiting san francisco startupKeen to rejig the status quo, SmartRecruiters pulled out all the stops for this year’s Hiring Success conference. Need proof? Future of Work Adidas Equinox Ava B2B conference hire18 hiring success 18 hr technology ikea recruiting The MuseIt’s going to be a busy three days at Hire18. How is a TA Leader supposed to prioritize what to see to get a company’s money’s worth? Relax. We’re here to help. We feel you, apathetic TA folk. You’re an office dweller, and have been since before you realized your real dream was to be a cruise-ship captain. Future of Work B2B conferenceIt’s a new year, a new business quarter, and there are a raft of new conferences to attend. Some you look forward to, some you dread, but no matter how good or how bad, some people you’ll meet there are best avoided. Lucky for you, conference-goer, we’re here to help. For your sanity as much as your productivity, and to assure your physical survival, read on. The essential valuation of any conference is attendance. B2B Magazine names C & A Industries (parent company of Aureus Medical) as #1 employment agency [San Francisco Chronicle]. News 4-Traders Adzuna Alcohol dance meme AOL Jobs Aureus Medical B2B Magazine Bloomberg C & A Industries CBS News Corporate Resource Services Inc.
Free B2B data site LeadFerret releases fully searchable Staffing Agency Directory with complete contact information [PR Web]. News B2B Boston Globe Brookfield Now Business video infographic Capital One Bank Capital One Foundation CCUSA Inc.
And the reason for this is that you’re trying to reach both B2B (clients) and B2C (candidates) audiences at the same time – which isn’t easy! Creating a marketing strategy that fully caters to your target audience can be a difficult task for recruitment agencies. B2B Workforce (A Division of Randstad Holding, NV) announced Osmund (Oz) Fretz as President of B2B Workforce. DHS Holding, Co. announced Gary Baran as the company’s Executive Vice President. Market Watch]. “ We’re evaluating what happened and will speak with Maxim in order to ensure that they will continue to meet our high expectations in terms of service delivery and accountability to taxpayers,” said county spokesman Noah Lebowitz. Democrat and Chronicle]. A goal of B2B marketers is to grow their lead database. A database that’s full of high quality leads at any given time means that marketers are doing their jobs well and attracting the right audience. Of course, generating a pool of high quality leads is really only step one. In the world of B2B or B2C marketing, digital marketers are constantly measuring data and analytics around website visitor behavior. Understanding where visitors are spending their time, what content they are viewing most, and what pages they are interacting with is essential in knowing how to engage with potential customers in future interactions. When it comes to prospecting and reaching potential clients, social media provides a direct route for efficient B2B conversation. Social selling is a key growth area for salespeople, and it’s a practice that recruiters can benefit from. GreenJobInterview is a video interviewing platform, offering a B2B service to make it easier to find the… The post Live Virtual Interview Video Product Update Launched By GreenJobInterview appeared first on GreenJobInterview. B2B versus B2C marketing. Let’s start high level and define the two main marketing categories – B2B and B2C. B2B stands for “ Business-to-Business ” meaning the company markets their goods or services specifically to other businesses. Here are some distinct differences between B2B and B2C marketing: The cost of the purchase. Companies that participate in B2C marketing tend to have more potential customers than B2B companies do. On the surface, creating audience personas for your employer or B2B brand seems like a great idea. If your marketing personas are merely based on conventional wisdom, your content will not reach its potential with the intended audience. Whether you are a B2B or a B2C, you want to be prepared for your busy hiring season. Here are a few simple tips: 1. Employee Referrals: Take advantage of employee referrals. You get great results developing ways for current employees to recommend new hires. B2C marketing vs B2B marketing. The two overarching categories of marketing are B2C (business to consumer) and B2B (business to business). As the names suggest, B2C is the marketing individuals are exposed to and B2B tries to convince another organization to make a purchase. Since they launched in 2016, the TrustRadius Top Rated Awards have become the industry standard for unbiased recognition of the best B2B technology products. Established in 2013, TrustRadius has become the most trusted site for B2B software reviews. While it’s an important platform for all businesses, LinkedIn can be a true game changer for B2B (business to business) companies. This article will show you why your business – especially if you’re in the B2B space – shouldn’t wait another day to incorporate LinkedIn into your social marketing strategy. LinkedIn is even more important to B2B marketers than Facebook. In fact, the Content Marketing Institute reported that 89 percent of B2B marketers believe that brand awareness is more important than sales and lead generation. Candidate experience may matter to the success of your organization more than you think. It’s great for B2B Blogging. Recent data suggests that LinkedIn could be the best platform for B2B Blogging. Unless you’ve had your head firmly stuck in the ground for the past 6 months you’ll have noticed that LinkedIn has opened up its platform to blogging.